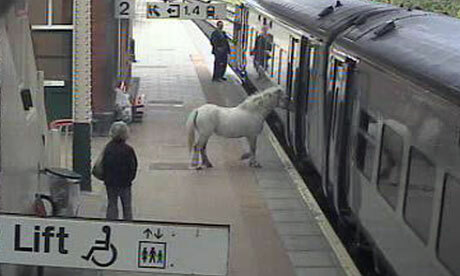 From the BBC - taking your guide horse on the train. A miniature horse which helps visually-impaired people has trained on the Tyne & Wear Metro to help his new owner. Digby, the UK's first ever guide horse, has to be comfortable with trains and stations' surroundings as he'll be riding the London Underground regularly. One has to wonder at the "assistance dogs only" signs you see in places ... and wonder if the assistance horse will be allowed. Is the law permitting guide dogs to go virtually anywhere limited to dogs, or does it include horses? For anyone in South Devon in September there is the Kingsbridge Vintage Bus running day on the 21st if my information is up to date. Free bus rides to a number of destinations in the South Hams including the former Loddiswell Station which is open for tea and bikkies. Been twice and enjoyed both. Good choice of coastal and inland routes and some lovely old coaches and buses. Thanks - and there's another listing at https://warminstervbrd.wordpress.com/other-running-days/ , with Hampshire venues included. Any member who wishes is welcome to correlate the list at the top of this thread with the Warminster listing - thanks. I'm still on a busy week of "proper work"- nothing to do with transport! Not a ride ... but surprised to see an HST calling at Swindon at 20:05 last night ... next stop Bristol Parkway, then Bristol Temple Meads. Ease of doing Abbey Wood with slopes ... no need for lifts. Patchway sight might be rather tight for slopes? Pilning Westgate will be slopes too ... even with 165,000 journeys (low estimate) per year. Aztec West will need lifts - no realistic way to put in sloped access on that site. Will it be the only lift with 3 levels on it - 2 different platform levels and a street level - on the system? We were delighted to honour Kathryn Osmond, who fought tirelessly to raise awareness of and funds for treating melanoma, in Bristol on Intercity Express Train 800023. She was a paramedic for South Western Ambulance Service NHS Foundation Trust and died two years ago today after a battle with the disease. Kathryn was voted by the public to be honoured as part of our 100 Great Westerners campaign, highlighting the achievements of great people in the regions we serve. 21 Apr: Penzance Vintage Bus Running Day. 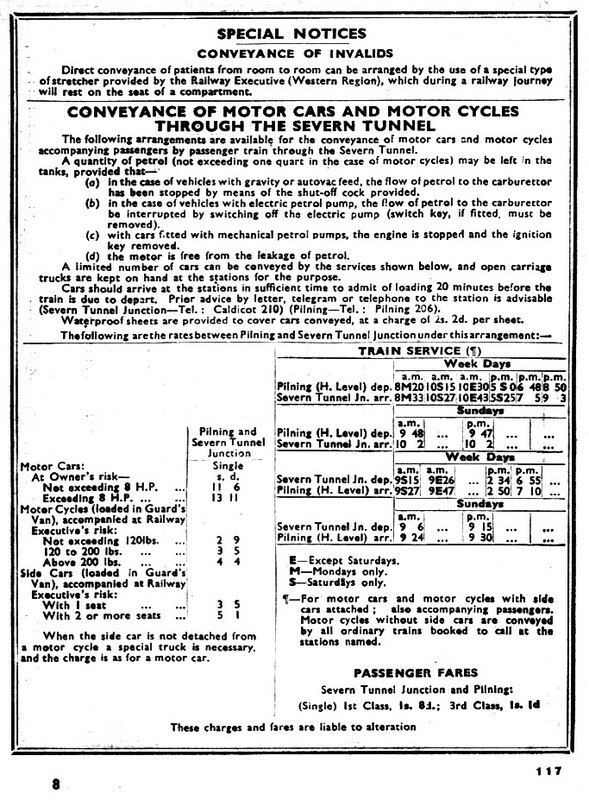 Free vintage bus services in West Cornwall. 26 May: Chippenham Bus Rally and Running Day, including "NBC 50", a National Bus Company celebration. 14 July: Tavistock Mini Running Day. All change! The passage from 1968 to 1969. Devon. 27 July: Ebbw Vale Classic Bus & Family Fun Day, Ebbw Vale town centre 1000-1500. 28 July: Bristol Vintage Bus Group Running Day. Location 2B confirmed - either at Brislington or Flowers Hill. 4 Aug: Devon General Centenary Rally & Running Day, Newton Abbot Racecourse, Devon. 11 Aug: Vintage Bus Running Day, Top o' Town, Dorchester, West Country Historic Omnibus & Transport Trust. 22-26 Aug: Great Dorset Steam Fair, Tarrant Hinton, near Blandford Forum. 8 Sept: Classic Vehicle Day, Gloucester Warwickshire Railway, Toddington, Gloucestershire. 8+15 Dec: Oxford Bus Museum, Father Christmas Day & vintage bus rides. Coffee Shop members welcome to post follows up on any of these they're involved with, and add to diary. We are ... drifting ... from the thread topic. We often do, and I may be minded to split the topic and move some of the stuff in which transport plays a secondary or tertiary role into "and also". I'm noting that all repsonses to the thread so far have been from frequent posters, so the move wouldn't cut any of you off from your own posts. Three people have been charged over an Extinction Rebellion protest where activists climbed on top of a train. A man glued himself to a Docklands Light Railway (DLR) train carriage in Canary Wharf while a man and woman were removed from the roof on Wednesday. Two men and a woman denied obstructing trains or carriages on the railway and were remanded in custody until 16 May. Police have made further arrests but activists continue to block traffic at four sites around London. The odd thing this wasn't a problem in the past? 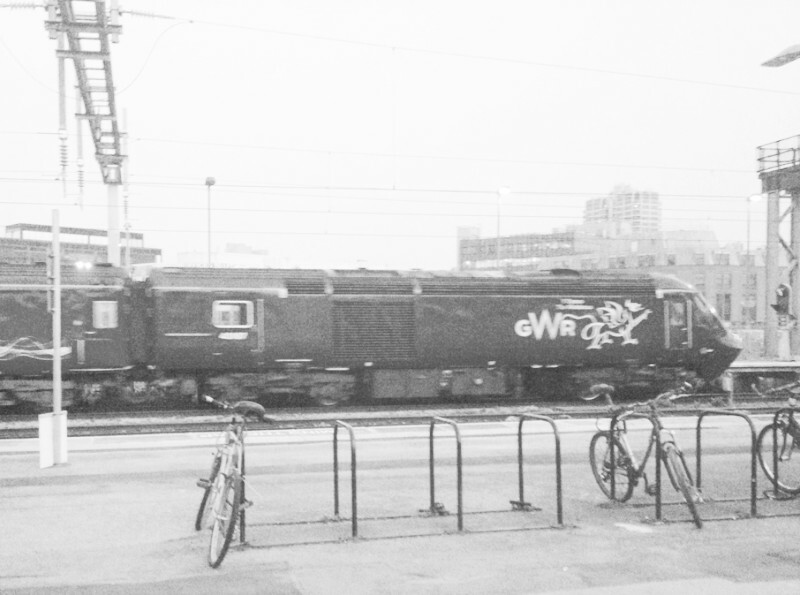 The peak HSTs that called at numerous stations between Westbury and Reading always used to feel incredibly slow - due both to the dwell times at each station while the train manager checked all (released) doors and the very gentle acceleration of a 2+8, but the timetable did / does allow for this. ... 81 minutes Westbury to Reading with 8 stops versus 46 minutes non-stop. The 81 minutes - if I'm reading it right - to 67 in December 2019, that giving a flavour of the difference the change to IETs can make. 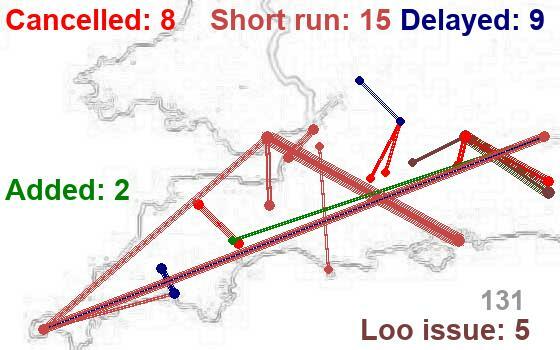 The Bristol area HST schedules that make 3 stops between Bristol and Weston are allowed (in the current timetable) 4 or 5 minutes longer than unit train schedules making the same stops. I suspect current time loss issues are due to classic HST units on unit train schedules. Some will be made up over a 2+8 schedule due to the train's "GTi" nature, but they will still feel frustratingly slow with long station stops. Newsnow fine at present - If you could keep it there unless we start getting real problems, then I'd appreciate it. It looks like it was glitch - it' back. I had / have no intention of removing it unless there are serious persistent problems that degrade it's use and it has a superb reliability track record, so that's not anticipated. When a site "just vanished" as it did last night, one can't help wondering ... but it's back. Perhaps a server move or infrastructure failure at its hosting location (Coffee Shop was out for around 20 minutes late last night too ...). Speaking as someone who utilises both feeds, I would say that it depends on what you are after. If you want a summary of rail news, then the presentation of transportinfo is excellent in that respect, and makes it the first source I check each morning. However, if you are after a constantly-updated source of rail news, then newsnow is the one to go for. The "newsnow" feed has been on the "Rail News" tab at the top of these pages for a number of years and I have found it very useful; it failed last night ... not sure if this is a glitch or a service retired / faded away. I will keep an eye on it. https://transportinfo.org.uk/ still running sweetly along - not one I have really used over the years, but digging this morning has brought it back to my attention. Perhaps an update coming for our resource list at http://www.firstgreatwestern.info/coffeeshop/index.php?topic=1761.msg250173#msg250173. ?? Lyme Regis does really need a Park and Ride service. There is very little parking space in the town centre, with the main sites being some distance away down (to the beach) and up (wearily from); in peak summer all of them can be full and traffic congestion is compounded with frustrated visitors driving to and fro in the hope of finding a space. After a brief visit to Lyme Regis on Saturday (last) fbb was astounded to meet, face to face, a Jurassic Coaster double deck bus on Lyme Regis Park and Ride. And there was another one going in the opposite direction! Total loading on the two vehicle was FIVE, three arrivals and two departures - so it was a wise decision to schedule double decks! fbb had seen no local publicity for this plentiful provision but that was no real surprise as Lyme is across the border in D*rs*t (where be dragons!). So, back at fbb mansions, a delve into the wonders of the interwebnet as we are continually told, "It's all on line." There appears to be an east and a west car parks ... buses passing through the pinch point in the centre of Lyme Regis as they traverse bewteen them. The online publicity is lacking (!!) and the service not doing very well in terms of loading. Runs over easter; don't know if it will be back later in the year. Several posts this morning quote "Fat Bus Bloke" on Passenger Transport Experience .... worth a look not only for buses (but if you scroll down the daily blog pages) snippets of other stories he's found - perhaps while sitting on a bus in a queue waiting to get to Portishead or Lyme Regis. Bus operator First West of England will be making improvements to its North Somerset services from Sunday 28 April. The changes include route and timetable alterations to improve reliability and punctuality and provide quicker, more direct routes for the majority of customers across North Somerset. The changes have been introduced after a series of customer roadshows, as well as feedback from local councillors and bus drivers. Readers may have gathered from yesterdays blog that the timetables for the Excel group of services from Bristol to North Somerset are changing on Sunday 28th April. Also in that blog, fbb prepared his readers by revealing that ALL buses to Portishead (now X3, X3A and X4) continue without exception to a loop via Redcliffe Bay. Or so the old man thought. But a glance at the First Bus on-line timetable suggests otherwise. I read the above (whole articles) and find myself understanding there is some confusion - but then I end up being somewhat confused in spite of all the maps and timetables shared. Probably because I don't know Portishead. Follow up comment to explain would be welcome! ... The source said, with the current state of the project in mind, a "best case scenario" would be the new Elizabeth Line opening in spring 2020. A "middle probability case" would be the summer of next year.